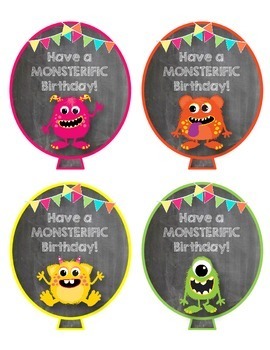 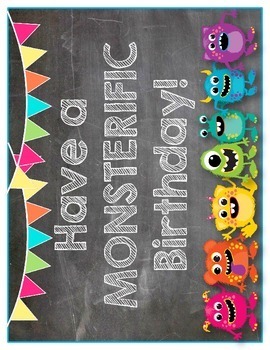 This pack will coordinate with your monster or chalkboard themed classroom. 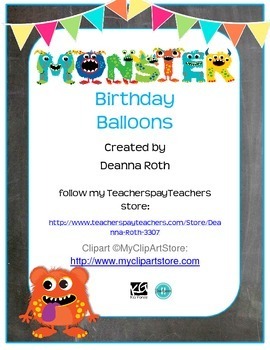 It contains 8 different birthday "balloons" that can be printed out and attached to silly straws, pixie sticks, pencils, or glow sticks. 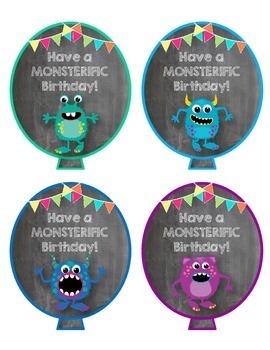 This pack also contains a full page poster that can be printed and hung on your bulletin board with your birthday display.